SNIPPETSON (AUS) (Bay 2001-Stud 2006). 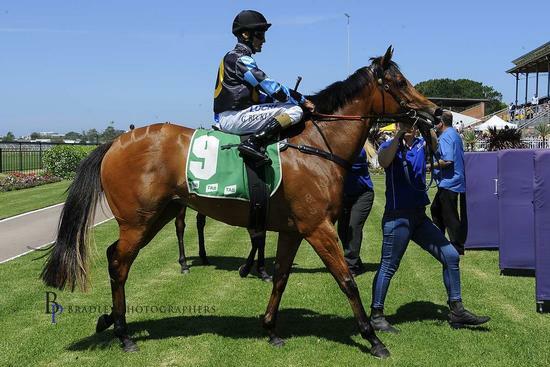 4 wins to 1400m, STC Eskimo Prince H., L. Sire of 616 rnrs, 403 wnrs, 12 SW, inc. My Poppette (Moonee Valley Fillies Classic, Gr.2), Fast Clip, Snippets Land, Vergara, That's the One, Rebelson, Nobby Snip - Fun Tapestry (H.K. ), Mystic Master, Lady Sniper, Kenjorwood, Miss Upstart, Mister Milton, SP Bangs, Fuerza, Snipzu, Can't Find Snippy, Hot Snippety, Charge Ahead, Admiral Rous, etc. MISS VERDEGAZE, by Intergaze. 2 wins at 1200m in Aust. Half-sister to MOUNT VERDE. Dam of one foal. MOUNT VERDE (Monashee Mountain). 9 wins-1 at 2-to 1300m, A$329,725, STC Maurice McCarten S., L, ATC Tony Patramanis H., AJC Dover Heights H., STC Quakers Inn H., Agricola H., 2d STC Jacob's Creek Moscato H., Bavarian Bier Cafe H., Veolia Environmental Services H, Lucky's Freeway Hotel H., 3d Hawkesbury RC NCP Printing Sweepstakes H., STC Love Vintage H., 4th STC Star Kingdom S., Gr.3. Phantom Verde. 15 wins to 1400m, A$211,148, 2d AJC Princesses Welcome P.
Verdes Lad. Winner at 1400m, 2d AJC Cadbury Schweppes H.
Miss Verdegaze. 2 wins. See above. Verdais. Winner at 1400m in Aust. Little Beautiful. 7 wins to 1350m, BTC XXXX Gold H., 2d QTC JC Clark 2YO H. Producer. Sebrina (Sebring). 4 wins from 1300m to 1900m, A$281,550, ATC McGrath Estate Agents H., Ascend Sales Trophies H., Monaco Cup, Sydney City Toyota H., 2d ATC Kensei H., More Than Ready at Vinery H., Happy 60th B'Day L Murphy H., TAB Early Quaddie 2YO H., 3d ATC James HB Carr S., Gr.3, Cecil Godby H.
DEIHEROS (Bon Hoffa). 5 wins-2 at 2-to 1400m, A$759,397, GCTC Magic Millions Guineas, RL, SAJC Magic Millions Adelaide 2YO Classic, City of Marion H., Morphettville Equine Clinic H., Leader Computers H., 2d SAJC Haigh's H., Melbourne Cup Live at Morphettville H., 3d SAJC Breeders' S., Gr.3, BRC Mick Dittman P., L, SAJC Sportingbet H.
Goldie's Image (Ready's Image). Winner at 2, 2d BRC The Phoenix S., L, 3d BRC Sky International 2YO P.
CORRALERA (Cormorant). 6 wins from 6f to 1m, Finger Lakes Monroe S., L.
My Lady's Wim (Sir Wimborne). 14 wins-1 at 2, US$340,696, 3d Saratoga Yaddo S., L. Producer. HIGH FORT (Go Forth). 2 wins in Argentina, Clasico Polla de Potrillos de La Plata, Gr.2. HIGH GLASS (Halpern Bay). 5 wins-2 at 2- in Argentina and Brazil, Gavea G.P. Euvaldo Lodi, L, 2d Gavea G.P. Onze de Julho, Gr.2. Producer. PETEN ITZA (Sultry Song). 7 wins-2 at 2-from 1000m to 1800m in Argentina, Palermo G.P. Polla de Potrillos, Gr.1, Clasico Old Man, Gr.3, La Plata Clasico Jockey Club Argentino, L, Palermo Clasico Gobierno de la Ciudad de Buenos Aires, L, San Isidro Handicap Equalize, 2d Palermo Clasico Miguel Cane, Gr.2, 4th Palermo G.P. Hipodromo de Palermo, Gr.1.